2016-11-20 ~ National Association of Postal Employees, Tirunelveli Division. 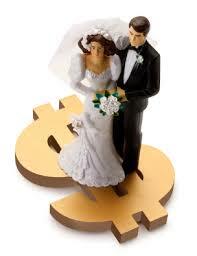 For wedding expenses, the Government has allowed withdrawal limit as Rs.250000-. Patch for the same is being deployed in Finacle. As per RBI guidelines / DoP rulings, the officials should check all the relevant documents and obtain the declarations from the customer requesting for withdrawal from their POSB account in connection with wedding expenses. KYC documents should have been submitted for the account; PAN card should have been updated. These checks are done on the CIF of account holder. SBCO is advised to monitor the high value withdrawals at all the POs under their control. Report on such transactions can be generated using HFTR / HFTI menu with the Report Code field filled as WEDLM, on daily basis. New Delhi: The government is going to pay of enhanced allowances to its 4.8 million central government employees according to 7th Pay Commission recommendations in January along with five months arrears, when situation will return to normalcy after cash crunch period. The payments will be made after cabinet nod following the the committee on allowances report, the finance ministry source said. The government has to pay the arrears of enhanced allowances this time because the enhanced allowances under recommendations of 7th Pay Commission have not been paid in August when the pay hike and its arrears were paid, he added. The committee on allowances, which was set up in July this year on the direction of the cabinet, is looking into the provision of allowances other than dearness allowance under the 7th Pay Commission recommendations as the pay commission had recommended of abolishing 51 allowances and subsuming 37 others out of 196 allowances. The committee met up with the deadline of four months given to it by the cabinet to submit the report, the official revealed. We are ready to submit our report, when the Finance Minister Arun Jaitley calls up, the committee on allowances head Finance Secretary Ashok Lavasa said recently. Prime Minister Narendra Modi scrapped Rs 500 and Rs 1,000 notes, which accounted for 86% of all cash in the economy, in a move to catch out Indians with black money, earned by corrupt means or evading taxes. But a bumpy rollout of the new currency has seen millions of people line up outside banks and ATMs. The situation is worse in in all India. There is an acute shortage of cash supply. Dirty, soiled and non-issuable notes are also being re-circulated. So, people continue to suffer after demonetisation from November 9 on account of cash crunch and it compels the Finance Minister Arun Jaitley to keep in abeyance the enhanced allowances till things normalize and it is likely to implement from January next with arrears, Finance Ministry official today told on condition of anonymity. Some grievances have been received from CGHS beneficiaries through grievance portals and other channels regarding functioning of CGHS. These are mainly regarding non-issue of medicines, plastic cards, shortage of doctors/ specialists and long queue of patients in Wellness Centers. (v) The functioning of CGHS is also monitored by the Hon’ble Prime Minister and as per the directions under ‘PRAGATI’, the process of linking of Aadhar Number with CGHS beneficiary Numbers has been started. A special drive was undertaken to clear the pendency of issue of CGHS Plastic cards. Provision has been made for self-printing of CGHS cards by existing CGHS beneficiaries. · Financial Powers of Additional Directors of CGHS have been enhanced for early settlement of medical claims of Pensioners. · Introduction of on-line registration for consultation at selected Wellness Centres in Bengaluru and in one zone in DelhiAadhar-based Bio-metric attendance for the staff at CGHS Wellness Centres has been implemented in Delhi and NCR. 1. Regular Inspection of Wellness Centers is carried out. 3. Regular monitoring of empaneled hospitals by a team constituted by Additional Directors, CGHS of cities for this purpose. 4. Regular meeting of Additional Directors, CGHS with pensioner associations. SMS alert facility to CGHS beneficiaries. Sub: Extension of benefits of Retirement Gratuity and Death Gratuity to the Central Govt. Employees covered by new Defined Contribution Pension System (National Pension System)-regarding. Your kind attention is invited to the letter cited above, wherein the Ministry of Personnel Public Grievances and Pensions, Dept of Pension and Pensioners have been issued to grant gratuity in respect of Govt employees covered by the National Pension System. The orders will be applicable to those Central Civil Govt. Employees who joined the Govt. Service on or after 01.01.2004. Hence it is requested that necessary action may kindly be taken to issue orders to the Heads of the Circles at the earliest so as to enable the officials who have retired from service covered by National Pension System to receive the benefits. Airtel Payments Bank Limited or Airtel Bank, a subsidiary of Bharti Airtel Limited on Wednesday rolled out a pilot of its banking services in Rajasthan. The pilot is aimed at testing systems and processes ahead of a full scale pan Indian launch. With this, Airtel Bank became the first payments bank in the country to go live. Customers in towns and villages across Rajasthan will now be able to open bank accounts at Airtel retail outlets, which will also act as Airtel banking points and offer a range of basic, convenient banking services. Airtel Bank will commence the pilot with banking points at 10,000 Airtel retail outlets. Airtel Bank plans to expand its merchant network in Rajasthan to 100,000 by the end of the year, giving a big boost to digital payments ecosystem. Airtel Bank’s services can be accessed by Airtel customers on their mobile phones through the Airtel Money app, through USSD by dialing *400#; or via a simple IVR by dialing 400. Both the USSD & IVR options are available in Hindi and English language and work on simple feature phones as well. Non Airtel customers can access Airtel Bank’s services by dialing 8800688006. Customers can also visit any designated Airtel retail outlet to access services (and not just the outlet where they have opened the account). Airtel Banking points will offer bank account opening services and cash deposit & withdrawal facilities. On April 11, 2016, Airtel Bank became the first entity in India to receive a payments bank license from the Reserve Bank of India (RBI).